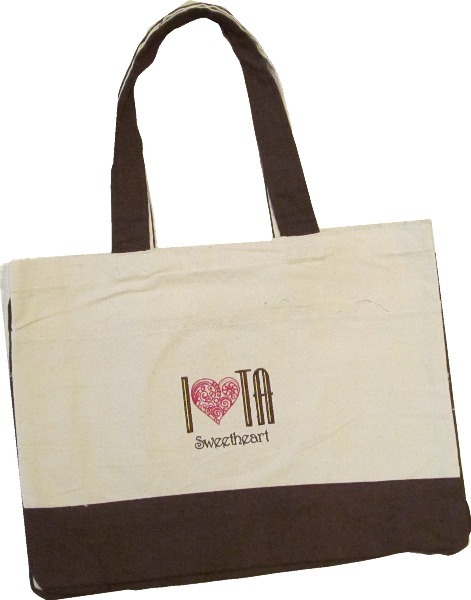 These tote bags are large and roomy! Hold all your important Sweetheart items with these bags. Measures about 15" wide, 12" tall, and 5" deep with an open top. They feature a front pocket the width of the bag too! Talk about lots of space! * Shown - brown lettering.